India is developing fast in industrial, economic and trade sectors. Thanks to the initiatives of central and state governments, people associated with these fields are getting the support they need. But sport is one sector that does not receive adequate support. Young sports personalities don’t have access to high-tech training equipment. Most track and field event participants, footballers and hockey placers come from financially weak backgrounds. In spite of all these hardships, they train hard and bring glory for the nation by winning medal in international sporting events. Such legendary sport stars who are no longer associated with active sports will receive a pension from central government under Pension to Meritorious Sportsperson Scheme. Development of sport in India – The sporting sector in India can only develop if the central government looks after the betterment of athletes. Youngsters will be encouraged to join sports if they see that government is doing its part to offer them financial assistance during youth and old age. This pension scheme will boost their moral significantly. Pension for retired sports persons – Under this project, only those eligible applicants will be able to receive this pension amount that are no longer associated with active sports. Medal winners only – Only those retired sporting legends will be able to enroll under this scheme that have represented the country in international sporting events and have won medals as well. 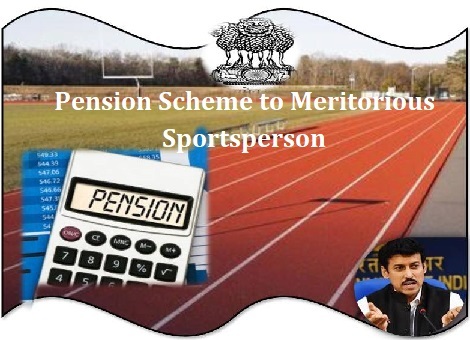 Financial assistance – The union government used to offer lifelong pension to sporting legends. But recently, the ministry has taken the decision to increase the pension amount by double. Pension payment – The sports ministry will offer this pension amount to applicants on a monthly basis. Total beneficiaries – As of now, 588 people are registered under this lifelong pension scheme. Arun Jaitley, the current Finance Minister of India announced in his 2018 – 2019 Union Budget speech that a whopping Rs 2196.35 crore has been allocated for utilization towards the development of sports in the country. SAI or the Sports Authority of India will receive Rs 429.56 crore. It will be the duty of SAI authority to organize and conduct national sporting camps in all parts of the country. National Service Scheme department will be given Rs 160 crore and lastly, National Youth Corps will receive Rs. 80 crore. All these bodies need to work in unison to bring about overall development Indian sports sector. The main reason behind lack of development in Indian sports arena is dearth of financial support. Until the central government takes necessary steps to offer financial and infrastructural support, India will not be able to make her mark in international sporting platforms. Pension schemes and other monetary grant programs, especially for athletes; provide much needed encouragement to young sports persons.